A ticking time bomb underneath Yellowstone National Park could have catastrophic effects on our planet if it were to ever erupt. Scientists have just made an incredible and disturbing discovery about the huge supervolcano lurking under Yellowstone National Park, as we reported recently. And should that volcano ever blow, there’s a possibility its destruction could be so great that it result in the end of mankind or even most of life on Earth. Yellowstone National Park is one of the biggest tourist attractions in the United States due to its natural beauty and unusual features, including the heated pools and geysers around the park that are fueled by a massive magma chamber sitting below. 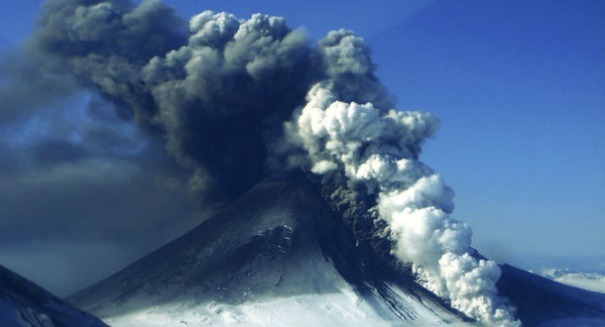 Scientists recently discovered that this volcano could go critical in a matter of decades, not centuries or millennia, and although it doesn’t appear likely to explode anytime soon, it’s given us pause on just what could happen if it were to ever erupt in our lifetimes. A total of three “supereruptions” have happened at this site in the last 2.1 million years, experts believe, and the most recent happened 631,000 years ago. They happen ever 700,000 years, so we’re sort of due, although even if it happened on schedule we’re talking about tens of thousands of years down the road. If it were to blow today, it would drop three feet of ash over a wide radius of the Midwest, wiping out any life in the area. It would also potentially trigger a global winter that could last for years and years, threatening life on Earth, particularly mankind.